Often, nature is the best medicine. Many of us enjoy disappearing into the woods to relieve stress and overwork, or taking a weekend excursion to the mountains to reconnect with the sensation of being a human surrounded by all the beauty of creation. At home, we surround ourselves with many luxuries and time-filling devices like televisions and computers. These can unwittingly dull the edges of our daily lives, lulling us into a sort of trance that softens our waking hours and makes one day indistinguishable from the next. Rustic lodging in group cabins replaces the numbing haze of technology with good old-fashioned fun. When there is no television to zone out in front of, no computer to nag us to check our emails, we get the opportunity to reacquaint ourselves with joys like face-to-face conversation, reading a book and playing games. The outdoors provides a never-ending source of daytime entertainment, where rushing rivers and rugged mountainsides take you places you’ve never been. The sound of birds or a summer rainstorm lull you off to sleep and wake you up in the morning, and every hour of the day is bound to be a memorable one. It’s good to get away to nature. Doing so not only helps our physical health, but also helps groups work better together. To those readers of a more capitalistic persuasion, look to economic stats for some convincing evidence. Many businesses, from small startups to major corporations like Apple, provide corporate retreats in rustic accommodations — and the number is growing. Companies organize retreats as a means of team-building. When employees with demanding jobs are allowed to unplug and foster friendships, group productivity has been demonstrated to climb as a result. Frequently, companies will sponsor activities like whitewater rafting and ropes courses to present fun challenges for groups. These activities have nothing to do with the business, but they present real bodily challenges that wake up parts of us that we may have forgotten about. It is no surprise morale and group cohesion improve as a result. Furthermore, companies that invest in rustic retreats help themselves by becoming more appealing as places to work. In the age of extravagant employment perks, perhaps best demonstrated by the giants of Silicon Valley, offering a fun corporate retreat is a great way to attract new hires. Let’s look at the reasons why rustic accommodation is so perfect for large groups, as well as one of the most ideal places to do it: the beautiful southeastern corner of Tennessee. Those planning a retreat in southeast Tennessee will want to find some group lodging near the Ocoee River. Raft One offers three types of economical group lodging options around the Ocoee for all types of groups, and choosing the right one for you depends on what you’re looking for. The Big Lodge at Raft One is a comfortable, spacious bunkhouse for groups on the Ocoee. It houses up to 44 people in individual beds. There is an upstairs and a downstairs, which can be convenient if you need to separate your group by gender or if you simply have a large group that needs a lot of space. The house is air-conditioned, and a kitchenette offers a microwave, sink and refrigerator. Two small bathrooms make trips to the toilet easy and convenient, while showers are located just down the hill. The Small Lodge is just as comfortable as its larger brother, but is ideal for groups of up to 16 people. This house will accommodate groups like small businesses and youth groups that don’t need as many beds, and still offers all the conveniences of the Big Lodge. Two small bathrooms, a kitchenette and a screened-in porch make it perfect for quality time and relaxed gatherings. Depending on exactly how rustic your group wishes to get, there is also group lodging outdoors — that is, in the form of tents. Raft One has campsites available that hold a total of six to eight tents. If anyone is particularly excited about the prospect of sleeping outdoors, this is a good option to offer. Including some flexibility and options to your retreat can be an appealing practice. Imagine your group, whether it be a company, organization or youth group, with all its personalities and interpersonal dynamics. Perhaps the vision that comes to mind is a typical day in the office, with people alternately seated and standing, taking care of daily tasks and pecking away at their computers. Now imagine those same people in a raft, paddling with all their might through frothing rapids. Such is the magic of a large group retreat. It offers the ability to redefine the parameters and limitations of your group, so they begin to think of each other as more than just coworkers. Allowing them to create shared memories of fun and adventure puts more cash in the proverbial bank — in other words, it makes your group dynamic more solid. Several factors increasingly draw retreat groups to the Ocoee region. The largest one, of course, is the Ocoee River itself. 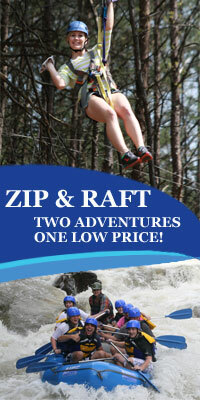 The Ocoee River is one of the country’s most popular whitewater rafting destinations, offering many levels of rapids. Conveniently located in southeast Tennessee, the river cuts through the Cherokee National Forest. It is therefore a short drive for those in Tennessee, southwest Virginia, North Carolina, northern Georgia and northern Alabama — though it tends to draw people from much farther away as well. If you have a large group, Raft One makes it easy to plan an adventure for all. Rafting adventures are a must, as the Ocoee contains 30 beloved rapids and will get everyone in the spirit of adventure. Raft One also understands your needs as a team leader, and rafting guides focus on team building. Your team will have fun and will emerge with a lot of memories and shared experiences. For people who prefer to get their thrills in the air, Raft One also offers ziplining adventures, which are an exciting way to feel the mountain air in your face as you fly through the canopy of the forest. There is also the Challenge Course, which is a low ropes course designed for problem-solving and cooperation as a group. Both are popular for groups of any age. Another advantage of whitewater rafting, ziplining and ropes courses is that they do not require a set of skills to enjoy. Anyone willing to give them a try will enjoy basically the same experience as anyone else. For all activities, there is nearby group lodging on the Ocoee. Group bunkhouses housing up to 76 people are available, as well as smaller options, all within a short distance of the river and associated activities. We’ve all seen them, or at least pictures of them. Those idyllic log castles nestled high in the Appalachians, their windows spanning several stories, their porches and balconies supported by wooden post-and-beam construction that makes our architectural mouths start watering. Inside is no less impressive. Stone fireplaces reminiscent of some dwarven mountain hall from a Tolkien novel often span floor to ceiling. Shiplap wood lines the walls, and plush sofas offer the perfect place to look out over the mountains. Then comes the unending stream of cool perks — foosball tables, jacuzzis, screened-in porches, indoor movie theaters and swimming pools, banquet halls fit for a 12th-century battalion of knights. Whatever level of extravagance and atmosphere you desire, vacation rentals present a lot of options. From economical houses for large groups to decadent mountain palaces, you’ll find a selection of custom-tailored houses to fit your needs. Don’t assume group vacation rentals on the Ocoee are only for those with deep pockets, either. While group retreat rentals may not be quite as economical as group bunkhouses, it is still possible to keep a budget trim by choosing a vacation rental with a higher guest capacity. Corporate getaways, family reunion groups and church group retreats sometimes find them to be the perfect option. Groups like Boy Scouts, Girl Scouts and other youth groups will discover the Ocoee to be the perfect place for a yearly trip. Every year, children who enter as skeptics leave as lifelong fans. This is because our rafting guides can create fun experiences for any type of group — whether they are children or adults — and have the expertise to choose rapids that will be challenging, yet doable. Youth groups tend to be particularly amenable to rustic lodging, so it is a good time to explore the options presented by our lodges. If each member brings a sleeping bag and pillow, they will have a great place to sleep for the night. Plus, the cost per person leaves room for a lot of other fun activities. As facilities expand and improve, the lodges and activities at Raft One only continue to grow better. With economical lodging, new bunkhouses, an expanding campground area and limitless fun and adventure right outside the door, the Ocoee is more accessible and appealing than ever. Plan your retreat by taking advantage of our adventure lodging packages, which make it easy and economical to establish the structure of your retreat. Though you’ll have some logistics to take care of, such as travel and coordination, leave the fear of your team not having fun far, far behind. At the Ocoee, fun is a way of life — we’re experts at it. To plan your next adventure and explore rustic group lodging options near Blue Ridge, Georgia, check out more of our website and book your own ticket to wild and raging fun. If you are interested in improving group dynamics in your company, youth group or other organization, it’s time to start planning a group retreat. A big factor to plan for is accommodations. Once you are sure your team will have a roof over their heads, the activities can follow. To get started with such logistics, however, it is important to first develop an idea of what you hope to accomplish with the retreat. What are your group’s strengths? If you are the head of a small company whose employees spend a lot of time in close quarters, working on projects together and generally being very involved in each other’s daily lives, a retreat is an excellent way to introduce some new energy into the mix. Groups who excel at team unity, cooperation or productivity are perfect candidates for a group retreat. Identify what is strong about your team, and focus on solidifying those strengths. Letting them express their personalities in a different context than their office or hometown opens the doors for different kinds of bonding, which can strengthen the group tremendously. What are your group’s weaknesses? Improving things like cohesion, communication, confidence and morale are often the primary objectives of retreats. If you hope to get your group working better as a whole, consider activities that encourage people from different departments to collaborate. Companies with multiple teams will find this particularly useful. Different sectors typically have to cooperate in some way to get the job done, and allowing the members to get to know each other will improve networking within the company. 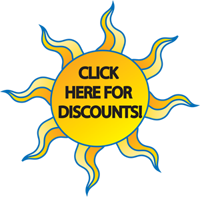 Consider renting larger group lodging accommodations to let people share in the same rustic experience. How can you use a retreat to improve on those weaknesses? Engage everyone in a different way with activities like whitewater rafting and volleyball. Get the competitive juices flowing with a company-wide ping-pong tournament. Hold a talent show. Get creative with it, perhaps by hosting a day of games most people haven’t played since childhood, like Capture the Flag or pool games like Sharks and Minnows. Also, everyone loves a big, family-style meal. Remember, retreats go best when they avoid any type of awkward or forced interaction — employees need to feel they are allowed to be themselves every once in a while, and to do so on their own terms. Consider having a roundtable discussion. Keeping with the spirit of allowing employees or members to cut loose a bit, also consider having roundtable discussions to allow people to voice their concerns and ideas for improvement. Many organizations make great efforts to encourage openness and communication, often with open-door policies or the assurance of job safety when sharing opinions. Even so, employees often keep their thoughts to themselves for fear of retribution or being ostracized or judged. A roundtable discussion should have the air of complete safety. There are no bad ideas, and any criticism must be constructive. Often, the airing of grievances and a discussion of how to improve can boost loyalty and have employees walk away feeling better than ever about working together as a team. Even if there is some work involved, remember to prioritize fun. Taking your company or organization into the woods should be a fun experience. That doesn’t mean you can’t get work done. Besides the previously mentioned roundtable discussions, consider hiring an engaging keynote speaker to inspire the company. An inspiring speech or presentation can create an atmosphere of improvement that will keep the company’s goals in mind even while people are enjoying themselves. When you’ve figured out the goals of your group retreat, it’s time to look into lodging. Rustic lodging for large groups will typically come in the form of a large, air-conditioned house with bunk beds for upwards of 40 people. Smaller options are also available. Members should bring sleeping bags, pillows and towels. Rustic lodging accommodations also feature places for fun and games. Screened-in porches, grills and volleyball courts are typical, providing a spot for people to gather and bond in the beauty of the surroundings.